This article is produced and published by Devex Impact, a global initiative of Devex and USAID at the intersection of business and global development that connects companies, organizations and professionals to the practical information they need to make an impact. When Microsoft unveiled a multipronged investment in African technological capacity and human capital a few days ago, its new smart phone, manufactured by the Chinese company Huawei, dominated news coverage. Winning over Africa’s fast-growing smartphone market is an ambitious goal: Windows-based phones have a 2-percent share of the global market. But Microsoft’s development-focused goals announced on Tuesday, Feb. 5, at events across Africa may be equally if not more ambitious. In the next three years, the Microsoft Afrika Initiative aims to “help place tens of millions” of smartphones in the hands of African consumers, bring 1 million small and medium-sized African businesses and nonprofits online, train 100,000 African university graduates (and find jobs for 75,000 of them), and pilot low-cost wireless broadband in Kenya using “white-space” spectrum. “The whole principle around this investment is to grow the technology market in Africa so it’s much more competitive,” said Fernando de Souza, Microsoft4Afrika’s general manager, in an interview with Devex Impact. Microsoft4Afrika initiatives are distinct from the company’s corporate social responsibility efforts, de Souza said, and meant to combine social and commercial goals. De Souza reports to the corporate vice president for the Middle East and Africa, not the executive responsible for corporate citizenship. “We want to compete in Africa in a fair and respectful way and hopefully win market share as a result,” said de Souza, who was born in what today is Maputo, Mozambique. For the training and job placement pledge, Microsoft will draw on its experience in South Africa, where the company provides employability skills training to high school and university graduates. Coursework focuses on entrepreneurship, technology and English, and Microsoft has leveraged its partners “ecosystem” – a network that includes resellers, software development firms and startups, among other businesses – to hire program graduates. 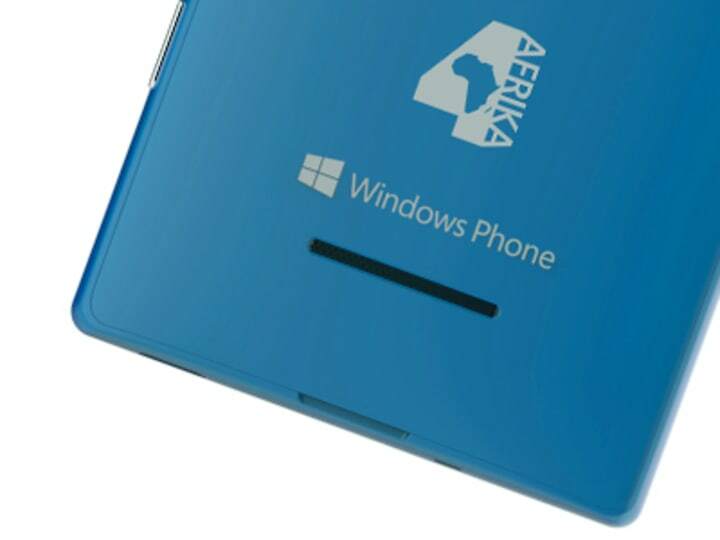 Microsoft’s new smartphone, which features an “4Afrika” logo on the back and comes preloaded with apps geared toward an African audience, is expected to become available later this month in seven African countries: Angola, Egypt, Ivory Coast, Kenya, Morocco, Nigeria and South Africa. The New York Times reports that the phone will cost $150. The company will work with local universities and ministries of education to offer low monthly subscriptions for students and graduates as part of its pledge to get the phone in the hands of “tens of millions” of young Africans, de Souza said. To Wayan Vota, an expert in information and communication technologies for development and a Devex 40 Under 40 International Development Leader in Washington honoree, however, the phone will not be a game-changer, in part because other low-cost smartphones, for example Android-based phones from Samsung and Huawei, are already available. “Microsoft is a little late to the party,” Vota told Devex Impact. Vota also expressed skepticism about Microsoft’s pledge to bring 1 million small and medium-sized African businesses online in the next three years. What did impress Vota was Microsoft’s plan to pilot wireless broadband service in Kenya’s Rift Valley using “white space” drawn from unused television frequencies. According to information technology publication ZDNet, Microsoft will partner with Kenya’s ministry of information and communication and satellite service provider Indigo Telecom to reach more than 20 underserved communities via solar-powered base stations. Another white space pilot project is already underway in South Africa, he noted. Vota said the development implications of having affordable broadband outside urban areas could be enormous. Join the 500,000-strong Devex community to network with peers, discover talent and forge new partnerships – it’s free! Then sign up for the Devex Impact newsletter to receive cutting-edge news and analysis at the intersection of business and development.